To get to the island of La Gomera and to Vallehermoso from anywhere in Europe or any other place in the world, our first destination should be one of the two international airports in Tenerife, Tenerife Norte (Los Rodeos) in the north, or Tenerife Sur (Aeropuerto Reina Sofía) in the south. Once you arrive in Tenerife Norte, you can take a 15 minutes non-stop flight to La Gomera. 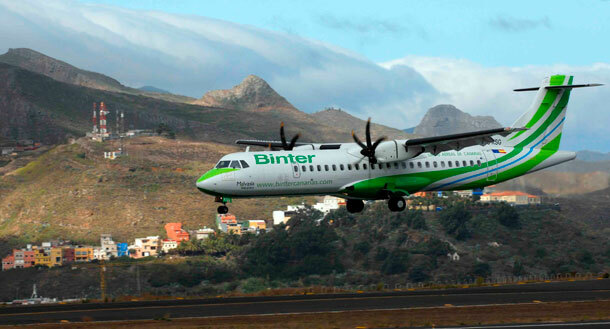 There are two flights everyday and the airline is called Binter Canarias. 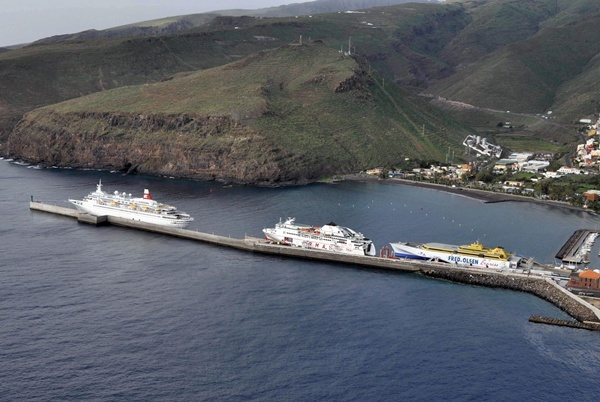 Another way it is to take the public transport to the bus station and once there, take a free shuttle bus to Los Cristianos Harbour and from there the ferry to La Gomera. As we mentioned before the bus is free of charge. If we arrive to Tenerife Sur, we have to go to Los Cristianos Harbour, which will only take 15 minutes, either by a bus from the Titsa Company or by taxi. From Los Cristianos Harbour, we will travel to San Sebastián, the capital of La Gomera and the main port of entry. This boat ride takes about 50 minutes and there are 6 daily departures from Tenerife with two different ferry companies, Naviera Armas and Fred Olsen. There are several rental car companies, both at La Gomera Airport and at San Sebastián Harbour and bus stops for the public transport bus services which connect with the most important villages of the island. There are 7 regular bus routes and the ones which arrive to Vallehermoso are lines 2, 4 and 5. Line 2, Vallehermoso-San Sebastián and return, makes 5 daily journeys. It could be thought that the most comfortable way to travel around the island is by renting a car. Despite the roads being so winding, they are in very good condition, full of viewpoints where we can enjoy amazing panoramic views of deep ravines or impressive cliffs. 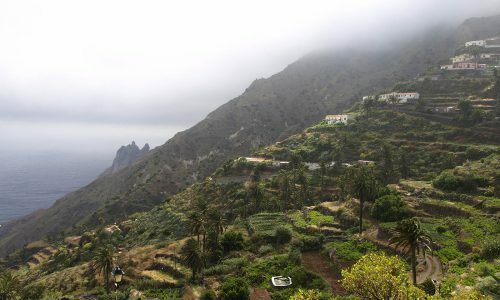 However, in order to feel the real experience of discovering La Gomera, it would be a must to hike through some of the walking paths which stretch more than 600 km. around the island. Vallehermoso has lots of trails with different length and difficulty. You can visit the whole town using only its paths. Regarding places to stay, it can be found a wide variety of accommodations of different types, grades and prices in Vallehermoso. There will be accommodation available to spend the night in each of the main villages, above all lots of rural houses in the north and central part. For eating and drinking, you can find a large selection of bars and restaurants where you can enjoy typical cuisine of the island. Eating in La Gomera and Vallehermoso is usually very cheap and you can choose from a wide range of local products.